Recording and coding patient health information. How did your experience at Nevada Career Institute help you? Did our career services team help you find a job after you graduated? Have you been promoted to a new position? If you have a story you would like to share, we would love to hear it! " 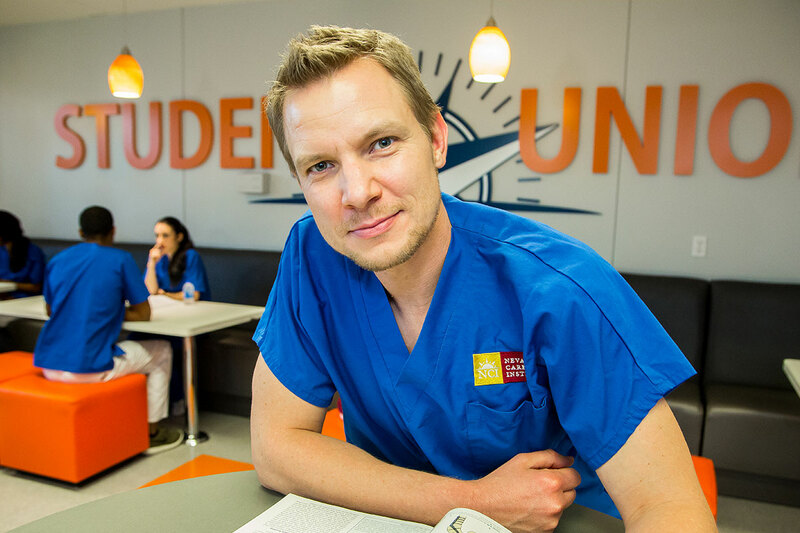 "I like to be around people and like to help others so the medical field is the best for me. I’m really proud of myself and I’m happy with my career." "Since graduation, I have worked in all aspects of the medical field from family practice to sleep disorders. I make great money, and my life is very full! Thanks NCI and thanks Mrs. K!" "My future looks hopeful. My future looks independent. My future looks secure because I know that I have skills that can carry me anywhere." Success StoriesSuccess StoriesTell us your story!Cynthia M.Cynthia M.Cynthia M.Cynthia M.
Let us help you launch your career by contacting us today. Simply fill out the form below or call us at 1-888-408-4211Classes are starting soon! The Medical Insurance Biller and Coder program objectives are to provide the student with a comprehensive working knowledge of all phases of medical insurance, consisting of billing, pre-authorization follow-up techniques, and posting insurance payments. The student will graduate with hands-on experience on the computer and experience in an internship. The student will be prepared to accept entry-level positions in doctor’s offices, clinics, hospitals, and medically related insurance companies. The program is divided into eight class course modules, including a 180-hour clinical externship where students will apply the skills they learn in the classroom in an actual health care practice setting. Seminar for Success - Orientation and success building course for Career Students. Review of basic math, language, vocabulary, and writing skills. Introduction to core career classes, availability of community resources, outlining, summarizing, managing credit, and other life skills. Outside preparation and study time, in addition to regular classroom activities, is required to complete the class assignments. The type of outside preparation may take the form of homework assignments, projects, reading, and required studying. Medical History and Fundamentals – This course provides an overview of the roles and responsibilities of the medical paraprofessional and an introduction to medical specialties and subspecialties. This course introduces the student to the structures and functions of the human body. Topics include the history of medicine, the health care team and office environment, interpersonal communications, medical law and ethics, basic keyboarding, and medical terminology. Outside preparation and study time, in addition to regular classroom activities, is required to complete the class assignments. The type of outside preparation may take the form of homework assignments, projects, reading, and required studying. Medical Office Administration – This course will introduce students to the basic procedures of the daily management of a medical office. Activities and simulation exercises related to practice management are provided throughout the course. Topics covered include telephone techniques; appointment scheduling; word processing projects, including resumes and cover letters; insurance claims processing; constructing and managing patient records; medical office management software; and basic keyboarding. Outside preparation and study time, in addition to regular classroom activities, is required to complete the class assignments. The type of outside preparation may take the form of homework assignments, projects, reading, and required studying. Medical Terminology; Anatomy & Physiology – This course provides instruction in medical terminology with emphasis on word structure, including word roots, suffixes, and prefixes. The course covers word meaning and pronunciation in addition to common medical abbreviations. Students will be introduced to basic anatomy and physiology critical to the understanding of medical coding. A study of common disorders and basic diagnostic procedures related to the body systems will be presented. Outside preparation and study time, in addition to regular classroom activities, is required to complete the class assignments. The type of outside preparation may take the form of homework assignments, projects, reading, and required studying. Medical Health Insurance – This course provides instruction in all aspects of insurance billing, including but not limited to completing, submitting, tracing, and appealing claims. Guidelines for submitting claims to Medicare, Medicaid, TriCare, CHAMPVA, Worker’s Compensation, and disability programs are covered. Students are also introduced to HIPAA compliance issues as they relate to patient privacy. Outside preparation and study time, in addition to regular classroom activities, is required to complete the class assignments. The type of outside preparation may take the form of homework assignments, projects, reading, and required studying. ICD-9-CM, HCPCS, & Evaluation Management – This course provides detailed instruction in the history, characteristics, and purpose of the coding and classification systems used in the medical claims industry. Students receive an in-depth review of CPT, ICD-9-CM, and HCPCS medical coding systems using the industry standard codebooks and source documents. Outside preparation and study time, in addition to regular classroom activities, is required to complete the class assignments. The type of outside preparation may take the form of homework assignments, projects, reading, and required studying. CPT Coding – This course provides detailed instruction in the characteristics of the procedural coding and classification system used in the medical claims industry. Students will learn the principles of procedural coding using the Current Procedural Terminology (CPT) medical coding system and manual. Students will also be exposed to various source documents ranging from simple to complex. Outside preparation and study time, in addition to regular classroom activities, is required to complete the class assignments. The type of outside preparation may take the form of homework assignments, projects, reading, and required studying. Medical Career Fundamentals – This course introduces students to the various roles and responsibilities of the insurance billing specialist. Instruction is provided in office and insurance claim processing procedures, including completing, transmitting, tracing, and appealing claims. Medical records documentation practices and computerized practice management software and techniques are taught. This course also introduces students to office emergencies and first aid techniques. Basic Life Support training for the health care provider gives students the opportunity to become CPR certified. Outside preparation and study time, in addition to regular classroom activities, is required to complete the class assignments. The type of outside preparation may take the form of homework assignments, projects, reading, and required studying. 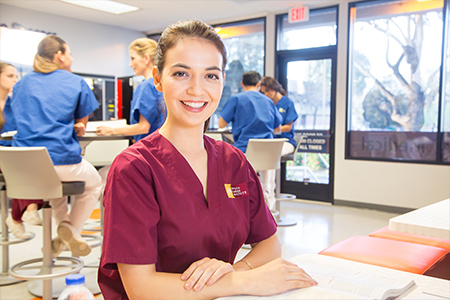 Clinical Externship – Upon successful completion of classroom training, medical billing and coding students will participate in a supervised 160-hour externship experience in an office setting. This course is a requirement for graduation.